FEDMALL – Expand your GSA Schedule with New FEDMALL! 8a Application Package "Best Seller"
FEDMALL was developed by the Defense Logistics Agency (DLA) and is the federal military procurement program that replaces EMALL (as of June 2017) which served the Department of Defense for the last 30 years. A major difference between the old EMALL and the new FEDMALL is that now firms can undertake a transfer process to migrate their GSA Schedule into FEDMALL. This then provides a large additional selling channel into DoD Agencies (Army, Navy, Airforce, Marines) this is because FEDMALL is designed to provide additional security via either PGP encryption, cXML, or in some cases an Electronic Data Interchange and therefore a CA Certificate is required. 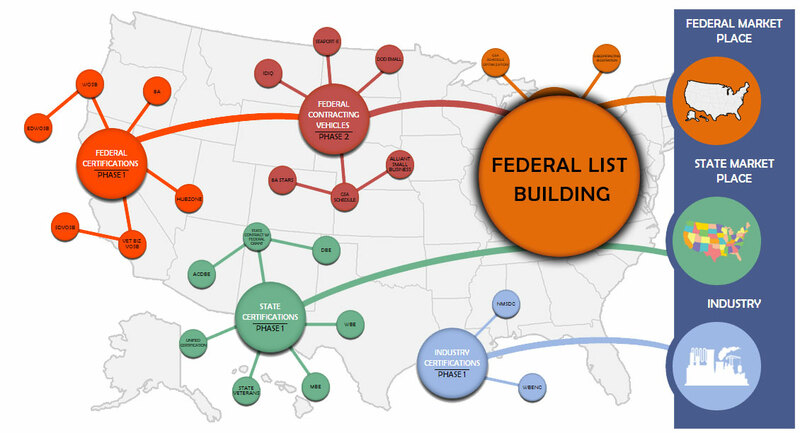 FEDMALL makes purchases easier for federal buyers by allowing for real-time data driven decisions for federal buyers. The Department of Defense is the largest buyer of commercial products of any federal agency. DoD buyers in many cases are limited to the use of FEDMALL and therefore adding this channel increases federal selling opportunities. FEDMALL has future plans to expand its availability to state and local governments as well. This will create a market potential of over 90,000 additional government bodies. FEDMALL will allow in the near future sales up to the amount of the Simplified Acquisition Threshold. Currently this amount is $150,000. FEDMALL will always allow for sales under the micro purchase threshold of $3,500. There are millions of items already listed on FEDMALL. DoD valid authentication certificate such as CAC card, PIV card, or soft certificate prior to registration with FEDMALL. 58I Professional Audio/Video Telemetry/Tracking, Recording/Reproducing and Signal Data Solutions. If you are transitioning your products form a LTA, BPA, or DLA contract please contact us so we can review your source material and determine a cost for the service.